Here, the bad guys run the show. She is beautiful, seductive and deadly. Few men have laid lips on hers and lived to tell about it. With spring just around the corner, it only seems appropriate to pay tribute to Gotham’s favorite green gal, Poison Ivy. This crazed eco-terrorist believes that she is the sworn protector of plant-life and few can tell her otherwise. She has held her own against such greats as Superman, Wonder Woman, and Green Arrow, but it is Batman that generally holds her twisted heart. 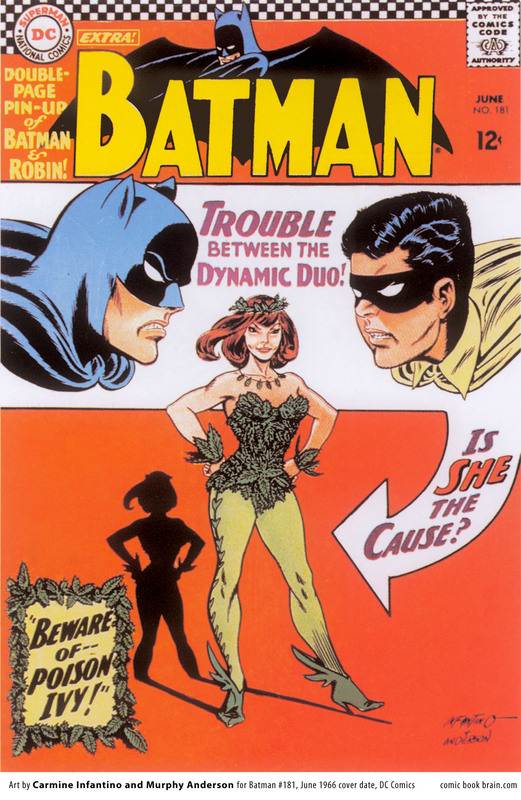 Making her comic book debut in the 1966 issue of Batman #181, Poison Ivy proved she was a force (of nature) to be reckoned with when she took on the Dynamic Duo, nearly seducing the Caped Crusader. Though Ivy has undergone numerous changes throughout the years, from fair-skinned seductress to becoming as green as the plants she controls, one thing is for certain; her place in history is deeply rooted. Like all plants, this ferocious like flower is a product of her environment and sadly hers was not always a nurturing one. But before this rose threw thorns, Poison Ivy was just a normal little girl name Pamela. This is her story. 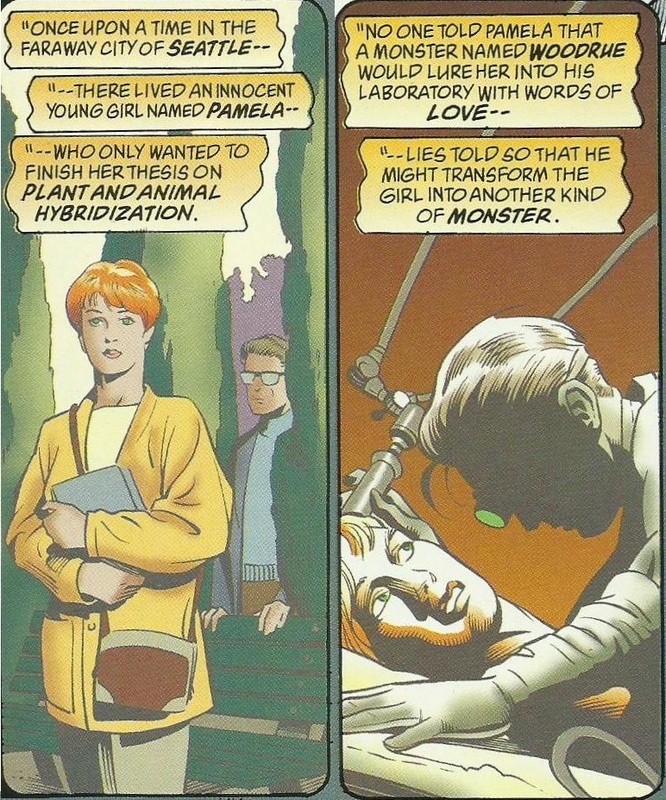 Pamela Lillian Isley, raised in Seattle, had a fairly normal childhood though her parents were a bit withdrawn. Pamela showed an interest in plants and flowers even at a young age. She also had an interest in boys. It was not until Pamela went off to college that things became soiled. While studying advanced botanical biochemistry, Pamela met Dr. Jason Woodrue, university professor and lead expert in her desired field. Dr. Woodrue seduced Pamela for the sake of using her as a human guinea pig. Injecting her with different plant poisons and toxins, Isley was hospitalized and nearly died from the experience. Six months later, upon release from the hospital, Pamela tried to move past the incident. She continued with school and began seeing someone. But it was not long before her body started to change, resulting in a car accident that kills her boyfriend who suffered from a massive fungal overgrowth. 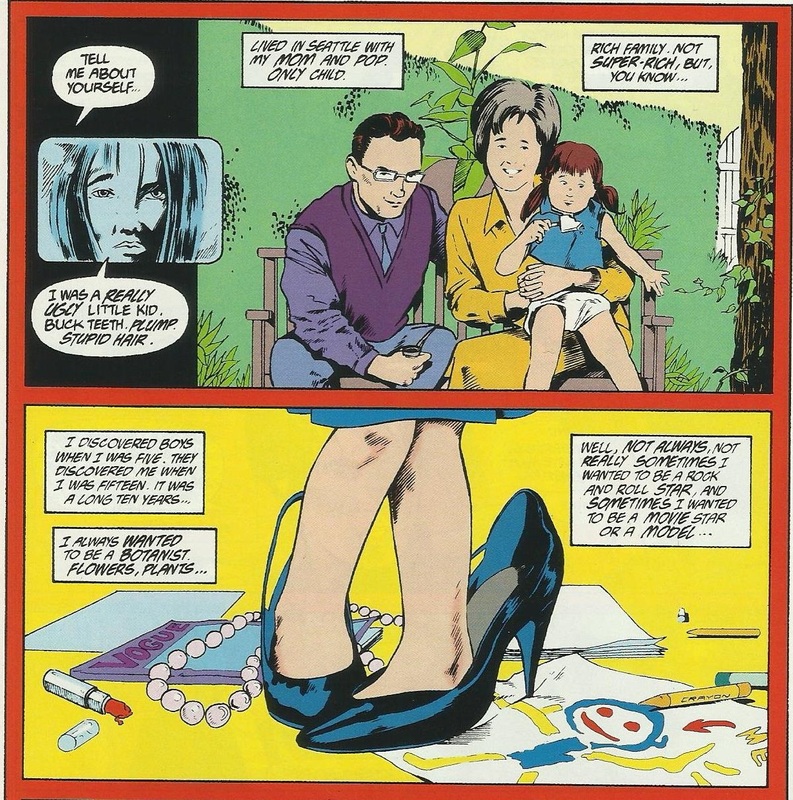 NOTE: In World’s Finest Comics #252, Lillian Rose aka Poison Ivy was given a different origin. In this version, she falls in love with her professor who persuades her to steal some herbs to further his research. She commits the crime but is “murdered” by the professor to cover up the loose ends. 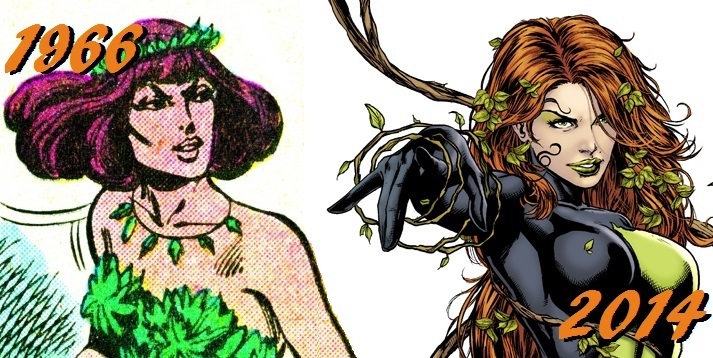 She then returns as Poison Ivy. 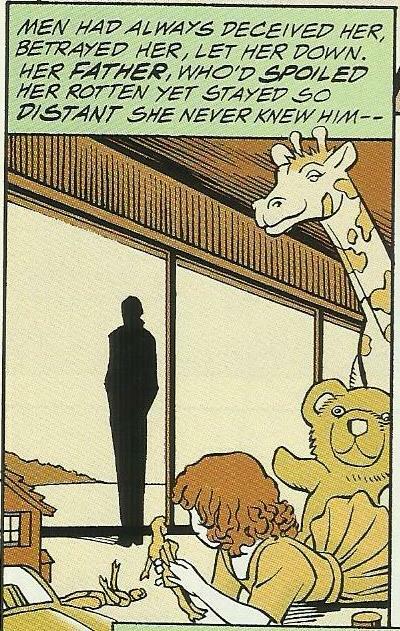 Poison Ivy later reveals this to be untrue in 1989’s Pavane. The toxins in Pamela’s bloodstream left her immune to all poisons, making her touch deadly. She gained the ability to control plant life and produce pheromones to seduce men. Sadly it also left her barren. But of all the changes that Isley went through it was her altered psyche that was maybe the most dangerous. 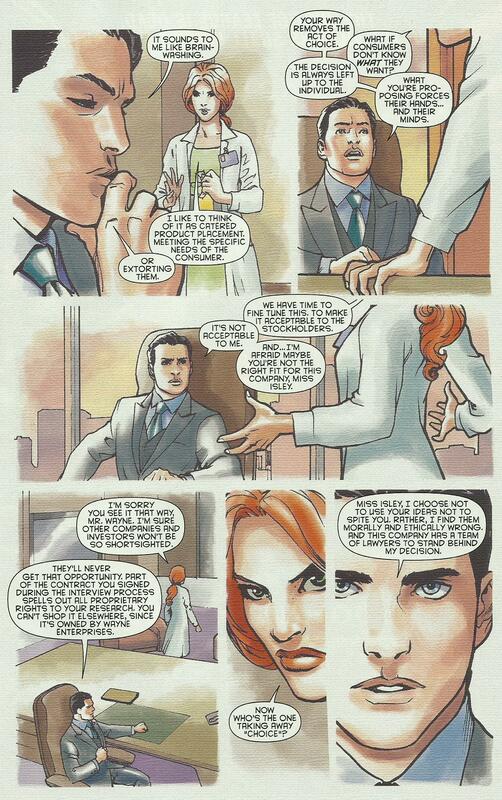 Believing that she is mother nature, Pamela Isley soon took on her new persona of Poison Ivy. 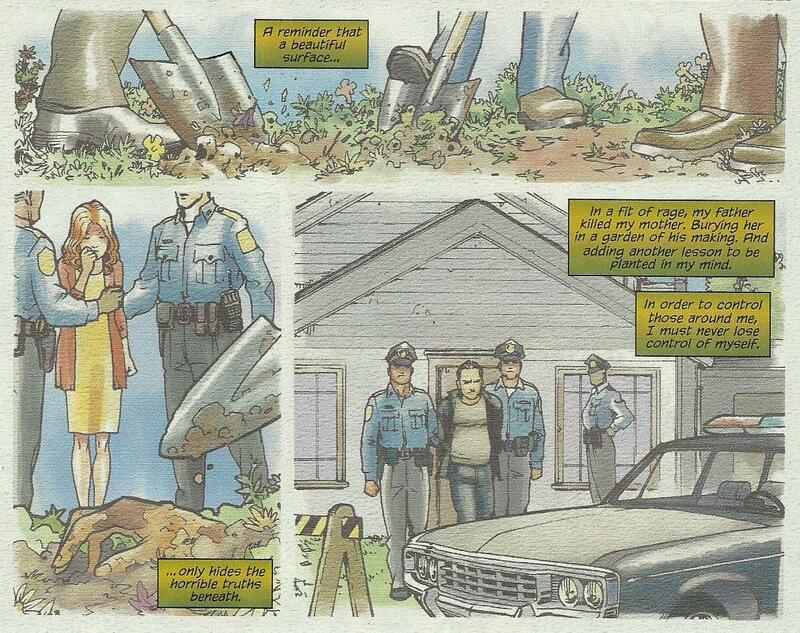 Poison Ivy could now hear the cries of the ravaged plant world and believed that the plants needed her help. She swore vengeance on those who caused her green friends such pain. She set her sights on Gotham City. With a new life ambition, Ivy enlisted some henchmen and began her first crime wave. 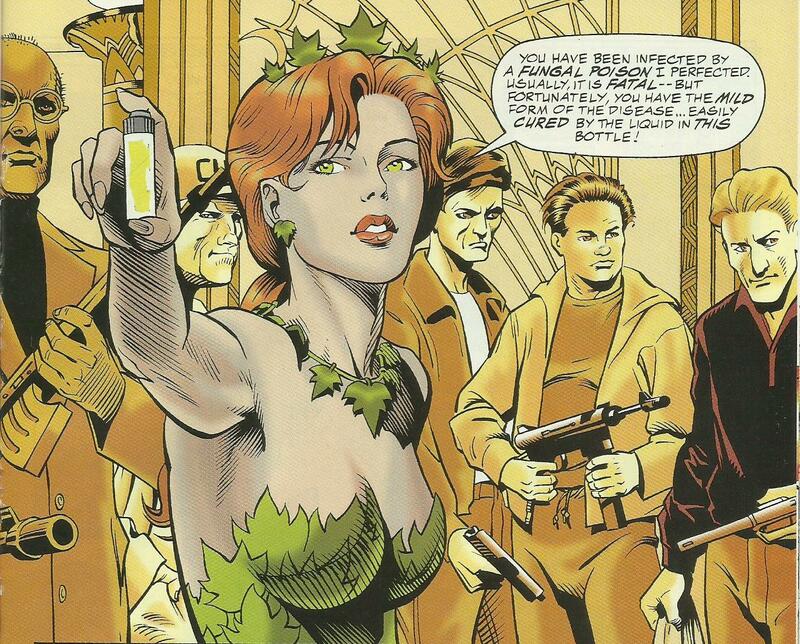 Threatening to expose the city to deadly spores, Poison Ivy quickly became a priority for the Dark Knight. Her obsession turned to Batman as they tangled one on one. He eventually apprehended her and sent her off to Arkham Asylum for a nice rest. Young Pamela had a skin disease that required a prescription lotion and limited her play time outside. Her abusive father would use her mother as a punching bag whenever he saw fit. 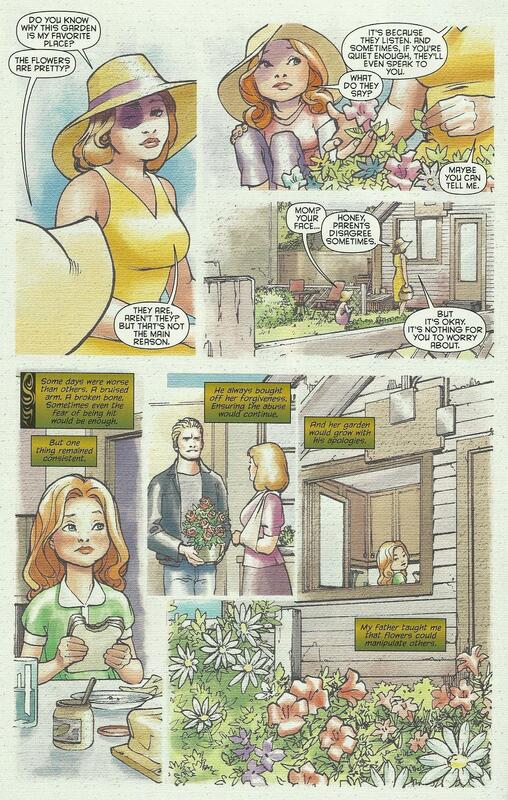 Her father’s choice of flowers for forgiveness taught Pamela at an early age that flowers could manipulate others. Sadly the abuse ended when Pamela’s father killed her poor mother and buried her in the garden that she often sought solace. Pamela grew up and went off to college. It was there that she sold her special pheromone pills to other students for the sake of studying their effects. It was not long before this caught the attention of the university. Isley used her “persuasion” on the Dean to avoid expulsion. She went on to graduate with high honors and attempt a career at selling her mind controlling formula. But first Pamela paid “daddy” a visit in prison. Administering a kiss of death, she got revenge on him for killing her mother. Pamela landed an internship at Wayne Enterprises in R&D working for the Bio-Chem division. When the opportunity arose, she approached Bruce Wayne with her ideas on pheromonal chemical advances. Isley and Mr. Wayne did not see eye to eye as her methods could be considered brainwashing. Her employment was terminated. Do to contractual obligations, Pamela was not allowed to take her research with her. When she attempted to collect her belongings, security intervened and she was doused in her chemical compound thus becoming Poison Ivy. Like they say, hell hath no fury like a women scorn. After 48 years, Poison Ivy still remains one of Batman’s biggest challenges. She is also one of the few with special powers, often giving her the edge against Gotham’s dark defender. The fact that she believes her crimes are for the greater good, at least for plants, makes her that much more deadly. Whether she is being playful with gal pal, Harley Quinn or asserting her feminine wilds on the weak willed, her presence is unforgettable. 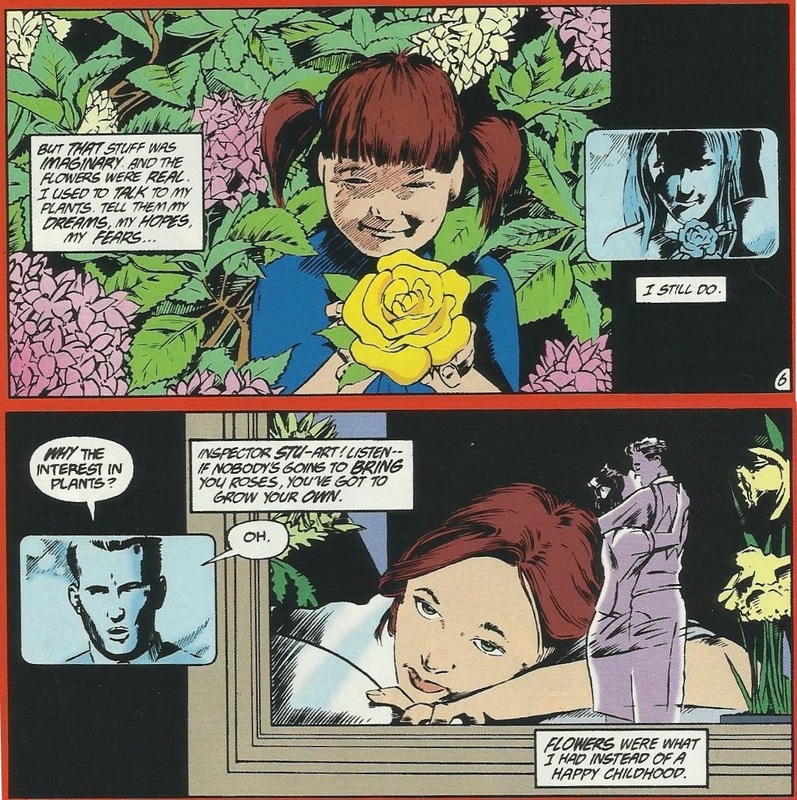 No matter how many times she has been defeated by the Dynamic Duo and returned to Arkham, Poison Ivy has proven that she is one posy that cannot be pruned and she will continue to blossom for years to come. 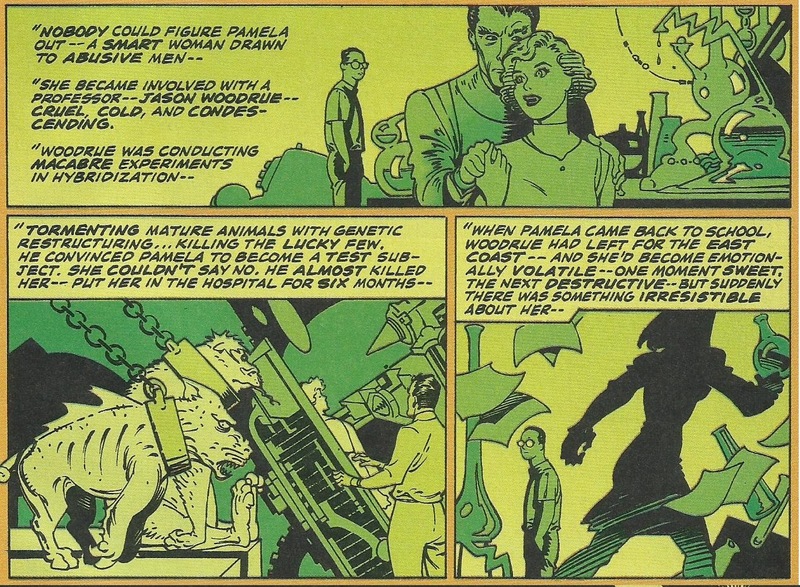 Secret Origins Vol 2 #36 – “Pavane” – Pamela is interviewed about her childhood while in Arkham. (Reprinted in Whatever Happened To The Caped Crusader?, 2010) Used heavily for this post. 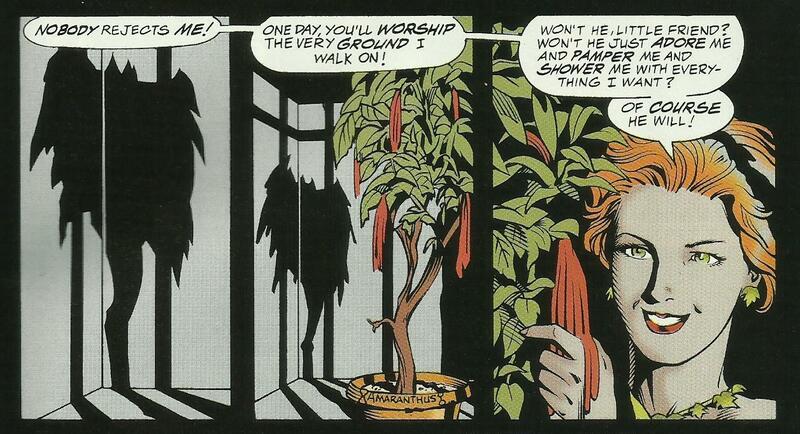 Batman: Legends of the Dark Knight #42&43, 1993 – “Hot House“- Nice two-parter with Batman investigating Poison Ivy’s past. 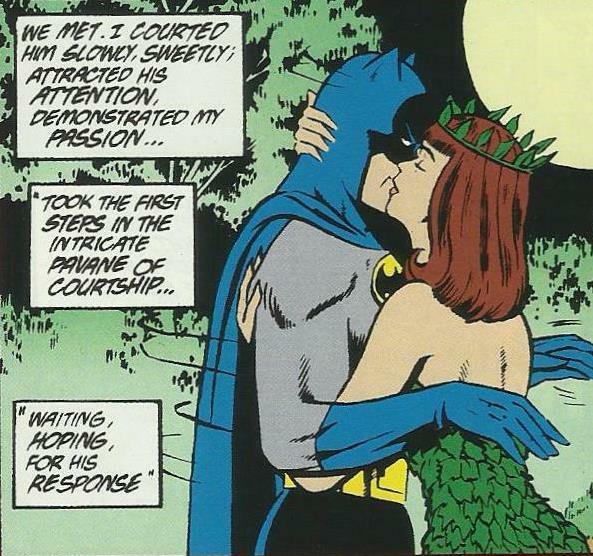 Batman: Shadow of the Bat Annual #3, 1995- “Year One: Poison Ivy” – Ivy’s first crime and encounter with Batman. 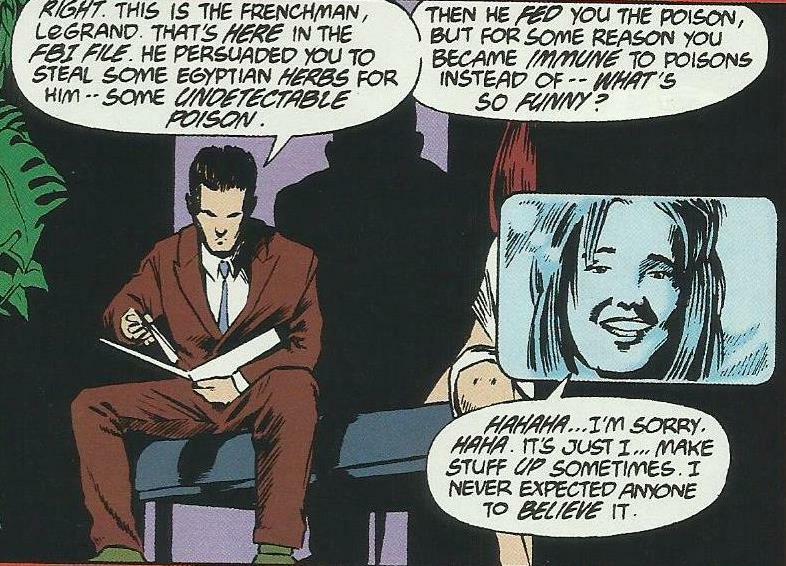 Batman: Poison Ivy, 1997 – Poison Ivy has her own island. 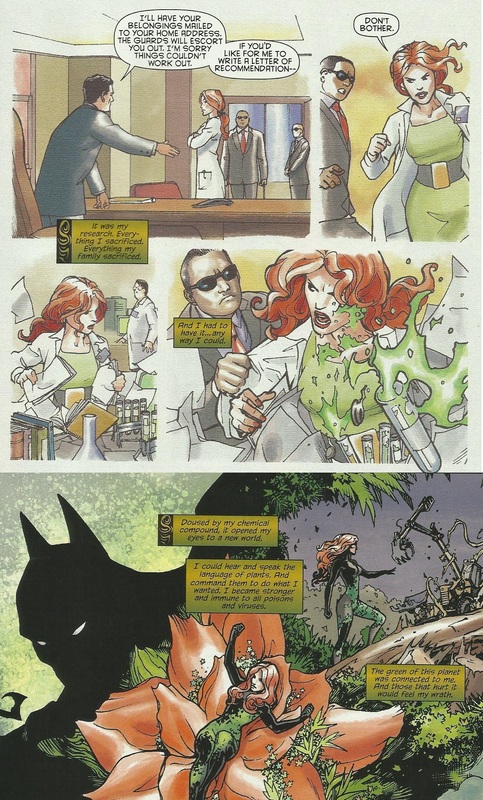 Joker’s Asylum, 2008 – “Deflowered!” – Shows the darker side of Poison Ivy. Has a recollection of her origins. Great artwork. Used for this post. 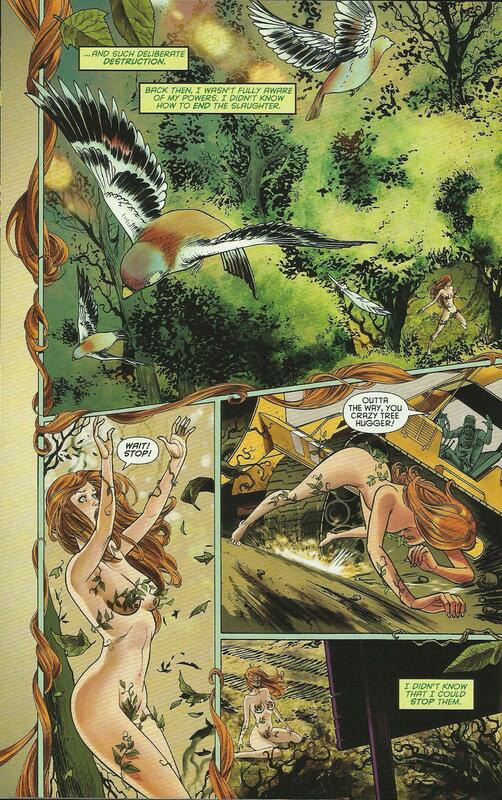 Detective Comics 23.1, 2013 – “Poison Ivy: The Green Kingdom” – New 52 retelling of Ivy’s origins. Used heavily for this post. Thank you. They are a lot of fun to post. I enjoy re-reading the older comics. Reblogged this on Blog do Rogerinho.